New York University Press, 9781479866465, 272pp. While we have an incredible amount of statistical information about immigrants coming in and out of the United States, we know very little about how migrant families stay together and raise their children. Beyond the numbers, what are the everyday experiences of families with members on both sides of the border? Focusing on Mexican women who migrate to New York City and leave children behind, Motherhood across Borders examines parenting from afar, as well as the ways in which separated siblings cope with different experiences across borders. Drawing on more than three years of ethnographic research, Gabrielle Oliveira offers a unique focus on the many consequences of maternal migration. Oliveira illuminates the life trajectories of separated siblings, including their divergent educational paths, and the everyday struggles that undocumented mothers go through in order to figure out how to be a good parent to all of their children, no matter where they live. Despite these efforts, the book uncovers the far-reaching effects of maternal migration that influences both the children who accompany their mothers to New York City, and those who remain in Mexico. 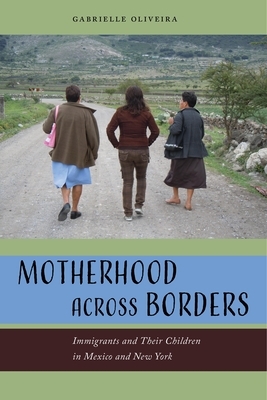 With more mothers migrating without their children in search of jobs, opportunities, and the hope of creating a better life for their families, Motherhood across Borders is an invaluable resource for scholars, educators, and anyone with an interest in the current dynamics of U.S immigration.